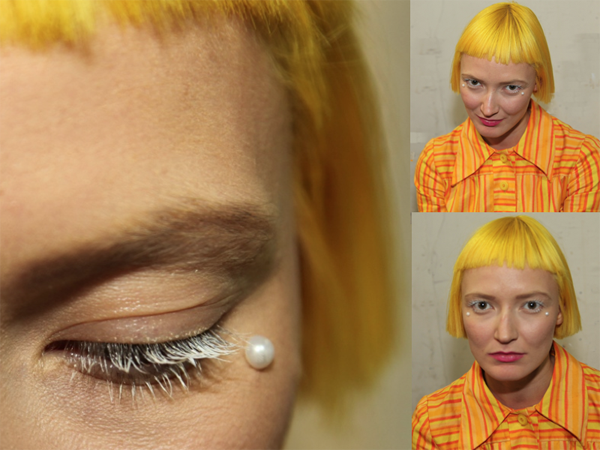 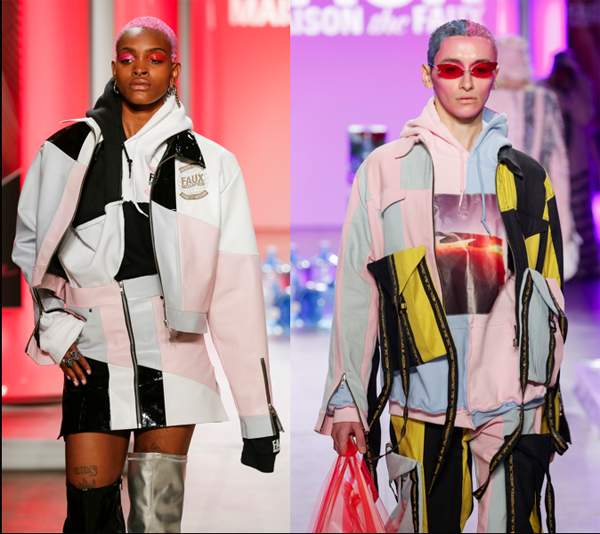 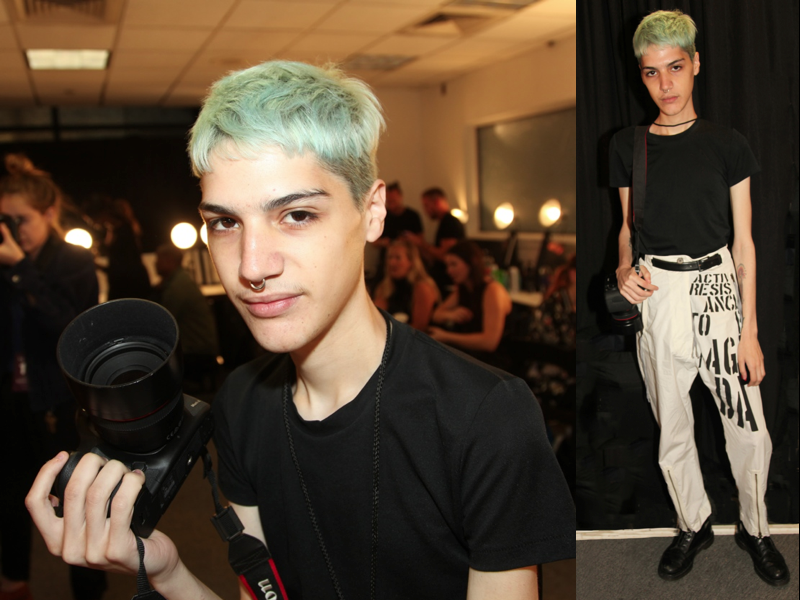 Posts Tagged "Maison The Faux"
Home » Posts Tagged "Maison The Faux"
Club kid hair at Maison The Faux New York Fashion Week Show for Spring 2018 presented by Made was by Jorge Luis who went with the personal style of the gender benders, then played with their hair color, mostly in pink and blue Manic Panic colors. 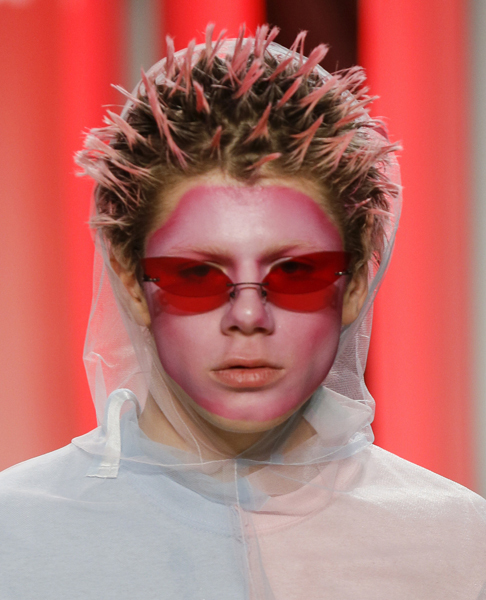 This hair had pink tipped spikes and the makeup by Yuui Vision was on theme for the show which featured a ritual baptizing models from a water dispenser before they entered vertical incubator tanning beds in a show with a message that all human beings are individuals. 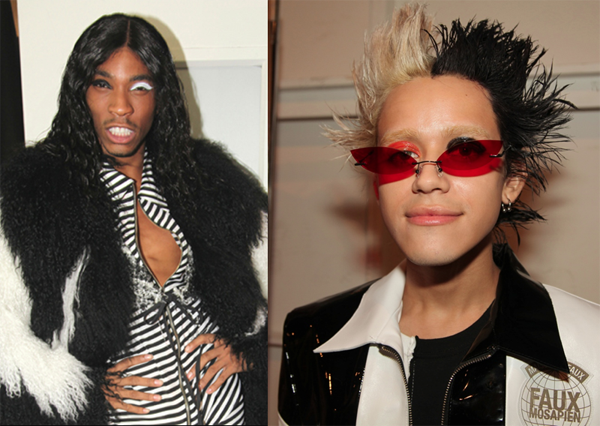 Stay tuned for some great club kid fashions from this show unlike any other.